Are you sick of seeing pictures of our puppy yet? I hope not, because I have a lot more to show you…he just keeps getting bigger every day and I don’t want to forget how little he was when he is (finally) all grown up! 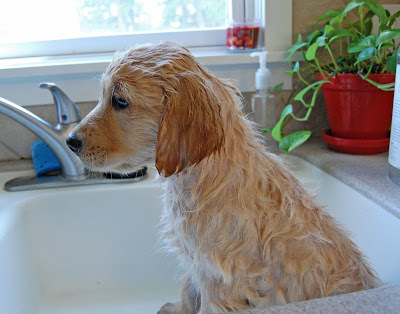 Anyway, I give Wrigley a bath at least once a week, sometimes more…he can be a dirty pup! 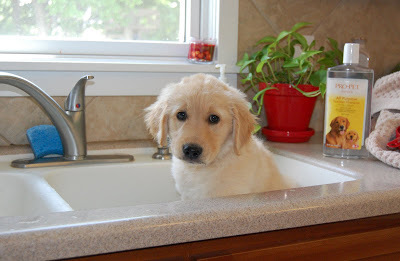 I am happy that for now he fits in the kitchen sink….but that won’t last much longer! 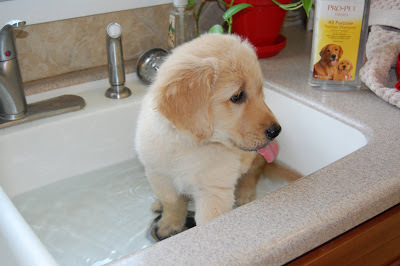 He doesn’t seem to mind taking a bath and loves to drink the bath water. Henry likes to watch the action. 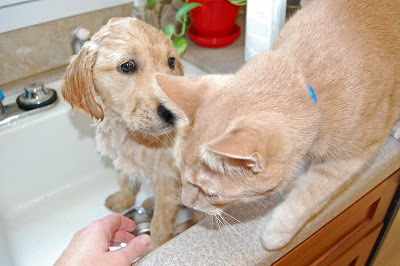 He loves it when the puppy gets a bath! 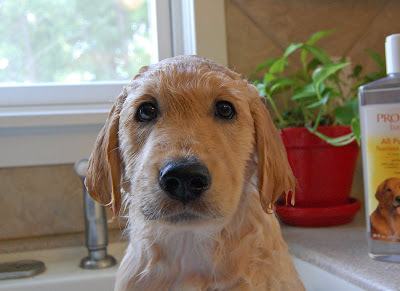 All clean! Such a good boy. His favorite part is getting wrapped up in a towel. (Can you see Henry still hanging around in the background?) The husband says we live in a zoo….I think he is right. 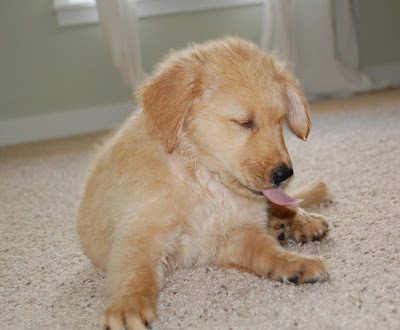 oh my goodness, what a precious pup! how sweet!! 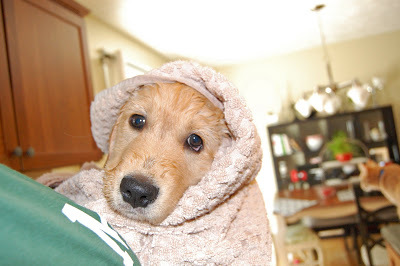 He is so cute, especially all wrapped up in a towel after his bath! hes soo cute! 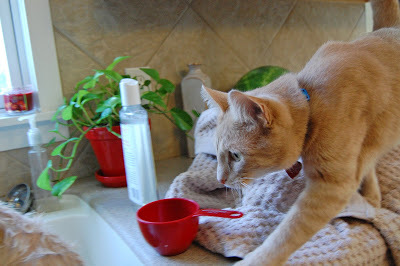 and i cant believe he still fits in the sink! ps- my mother called herself a 'lurker'. silly mom. I agree will all that post before me and love the Disney's comments. Your heart just melts when you look at him. 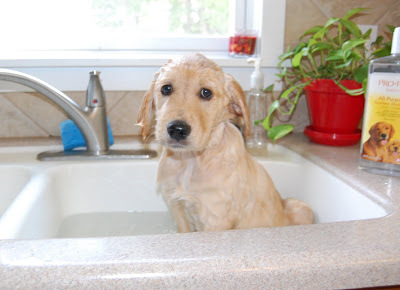 Aside from being the cutest puppy alive he appears to be the best little guy when he gets a bath. I'm sure he enjoys being watched by the entire family. He is probably thinking Henry & Pancake your turn is coming.